Here’s the data after day one, before the top 16 elimination rounds. 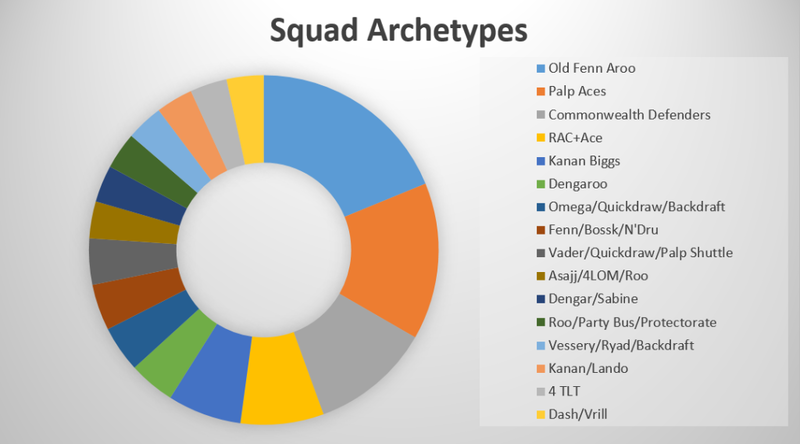 Want to know the exact squads? Go list list juggler. As with all the other charts, this represents the strength of squads with winning records. We will not be taking questions at this time. So, still worthless, elitist bull. STOP SPAMMING REDDIT WITH THIS DRIVEL! Yeah! Give me a refund! Your clogging up all the space on the subreddit that could be pasture for my shitposts! How is this elitist? There is a list to list juggler for the tournament if you want the exact builds. It’s an infographic about the NC regional tournament that basically just wrapped up day 1, I suspect that everyone who played was exhausted, it’s a pretty good service to get the results out this fast. Yeah, got home around midnight, went through the data with one of the judges, and then passed out so I could get up to play in day 2. Chill out folks. This is just one of my buddies egging people on.